Gautier Tradition Rare Vieille Reserve Cognac has a limited annual production of 2400 numbered bottles. This quality blend is created from some wonderful old Cognacs taken from the best of the reserves in the Gautier Paradise Cellar (chai paradis) that have been handed down through generations of the Gautier family. 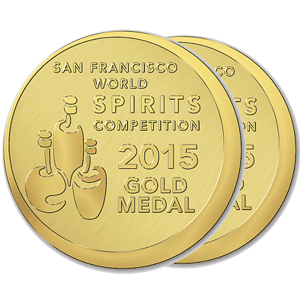 Gautier Tradition Rare was named Best in Show Brandy in the 2015 San Francisco World Spirits Competition (out of a field of 115 brandies and 51 cognacs). I never took notice of this cognac, mistake! Gautier Cognac is amongst the oldest cognac houses, with a very unique location. Gautier is based in Aigre on the Osme river, and ages in an 18th century water mill. Aigre is also referred to as the "Little Venice" of Charente. The proximity to the water and the resulting humidity and temperature in the cellars gives the cognac a recognizable taste. This cognac house unites ancient history with a modern view on the cognac market. It caters both professional cognac connoisseurs and aficionados as well as younger consumers that like to experiment with cognac and try out new and trendy cocktails. No tasting review on this AE Dor.